I like to observe the renaissance in the garden caused by autumnal showers. Having a garden filled with flowers as the leaves change colour is not that hard to do. There are quite a few genera that choose this season to bring on the floral fireworks. 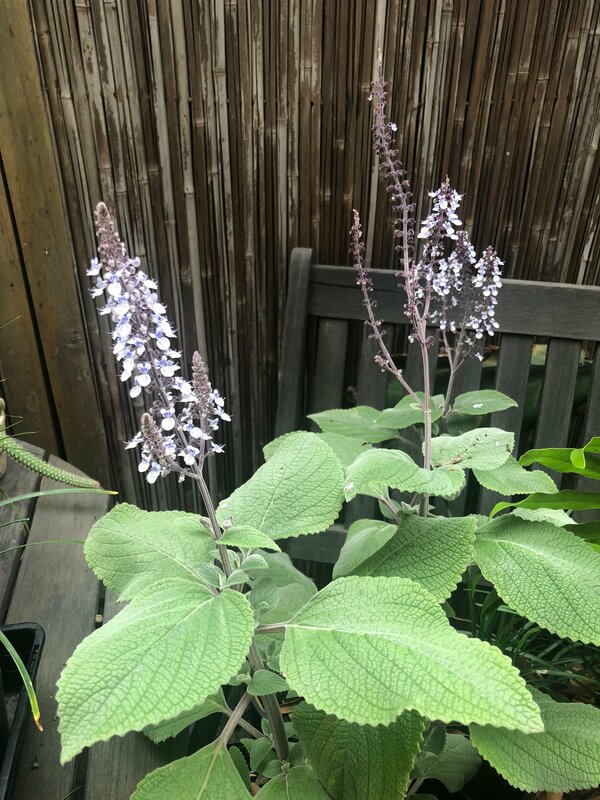 Many of the ornamental sages are in flower during Autumn, such as the ever reliable Salvia leucantha, with it’s fluffy flowers and felty foliage. Under the great shade trees at Kirstenbosch Botanic Gardens in Cape Town, the gardeners make the most of their shade loving species of plectranthus, often planted with cliveas, a winning combination. 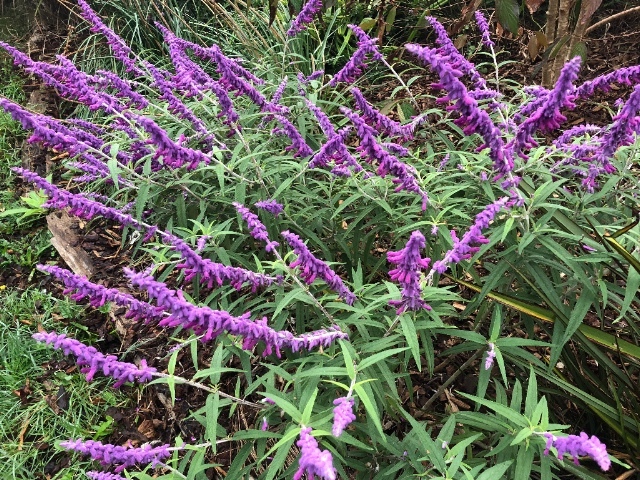 In Melbourne gardens I have used some interesting new cultivars like Plectranthus ‘Velvet Elvis’. These seem to flower over a longer period than older varieties. Their mauve flowers glow from the shadey recesses. My favourite plectranthus, though, is our native P. argentatus. It has delicate spires of white flowers each of which is marked with royal purple and supported by a redder purple in the calyxes and stems. It grows frighteningly easy from cuttings and seems to have a wide range of light tolerance. The autumn garden is filled with the powdery vanilla scent of Camellia sasanqua cultivars. And the bright blotches of colour are welcome indeed as the strength of the light dims. The sasanqua camellias under my care seem to attract hordes of European wasps, which is a downside, for sure. The cultivar pictured below came with a label ‘Enid’ but I am not sure exactly what it is, as I don’t think it is the cultivar Enid-Alice with semi-double flowers. Maybe one of my readers knows?